the beginning of the collapse of the Roman Empire in the fifth century. Roman Empire. 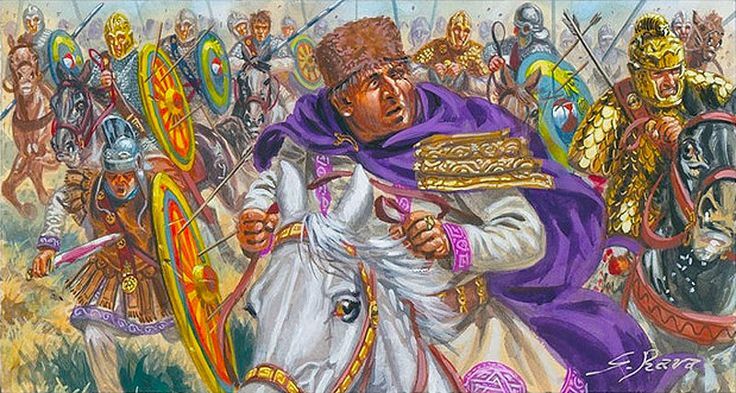 Seeking refuge from the Huns, Emperor Valens gave the Goths permission to settle in the empire as long as they agreed to serve in the Roman army. The Romans agreed to provide the Goths with supplies. Greedy and corrupt Roman officials tried to use the situation to their advantage by either selling supplies to the Goths that should have been free or not giving them the supplies at all. 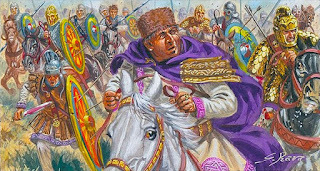 During a conference between the Visigoth leadership and Roman authorities in 377, the Romans attacked the Visigoth leaders. Some of the leaders escaped and joined with the Ostrogoths and began raiding Roman settlements in Thrace. and cavalry then turned on the Roman infantry and slaughtered it. The Goths killed two-thirds of the Roman army, including the emperor. again and eventually captured and sacked Rome on August 24, 410 c.e.